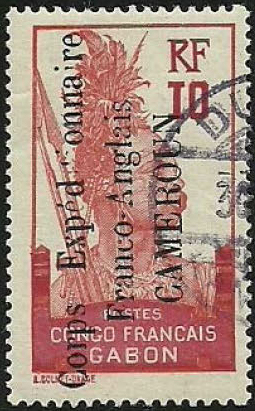 Cameroun is on the West African coast and is "rich in first issues". 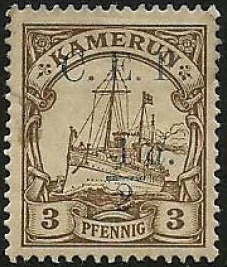 It began its philatelic life as a German colony, captured by Britain, France and Belgium in WW1, GB & Fr producing occupation issues. After the war, the UN mandated parts of Cameroun to Britain and France and Neukamerun became part of French Equatorial Africa. The British mandate had a northern and a southern component. 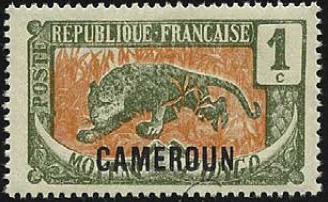 French Cameroun first used Middle Congo overprints and then specific stamps from 1925. 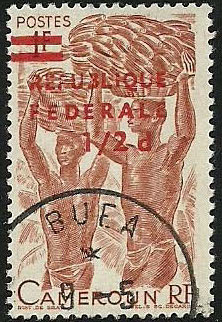 During WW2, the people of Cameroun supported de Gaulle and the Free French and used stamps printed in London. The Vichy govt. 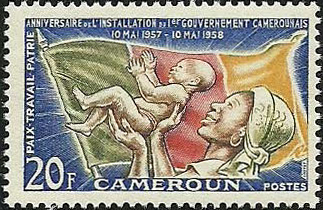 produced stamps for Cameroun but they were never used there. After the war the mandates became United Nations Trust Territories. 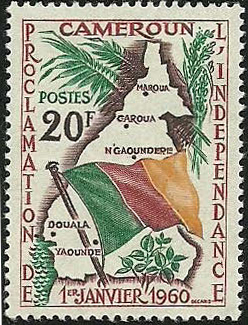 French Cameroun became an autonomous state on April 16, 1957 (still under French guardianship) with a first stamp issued in 1958. Full independence was finally achieved on January 1, 1960. 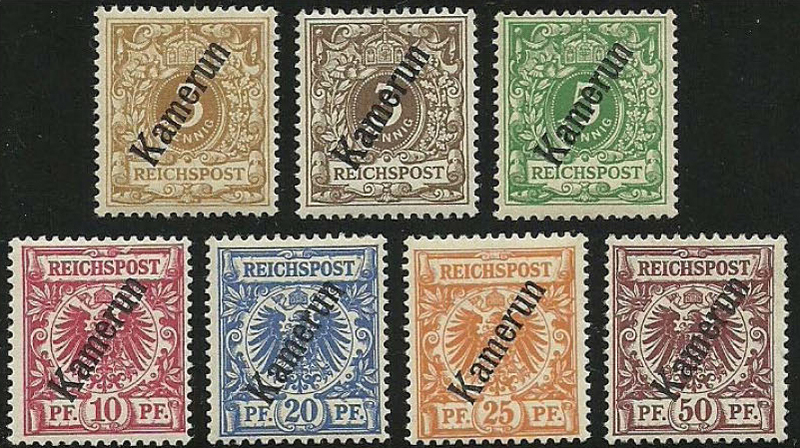 The British mandate area, both North and South, used the stamps of Nigeria from 1924. 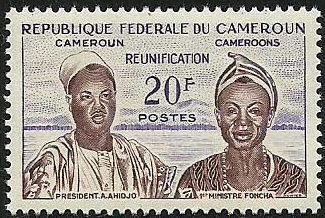 In February 1960, there were separate votes on their futures: Northern Cameroons voted to become part of Nigeria; Southern Cameroons opted to join (what had been French) Cameroun. 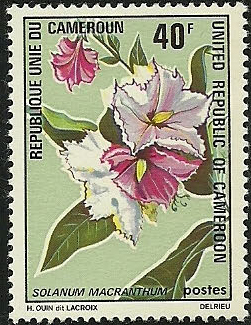 While this was being decided, a stamp issue was made, overprinted "Cameroons U.K.T.T." 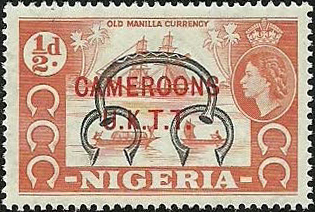 (United Kindom Trust Territory) on Nigerian stamps. Sources: FICC Journal v21n1, ScS, SGP1, SGP6, SGP7, SGP12. Images from FICC Journal v21n1.